Despite the perception that Religious Zionist institutions were likely to be favored over hareidi institutions due to the composition of the present government, it turns out that the fate of both communities' institutions are inexorably linked. 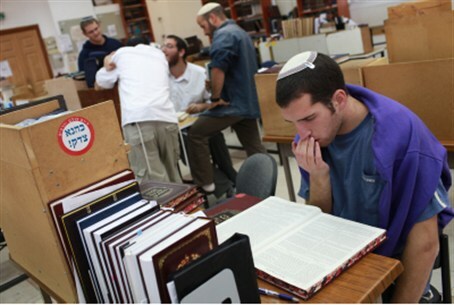 The budget imposes another major cut for hareidi, Hesder, and Religious Zionist yeshivas – making the problem one of a lack of government support for all Torah learning, said Eitan Ozeri, chairman of the Union of Hesder Yeshivas. In a letter to MKs and government ministers, Ozeri described the serious budget plights yeshivas already faced, describing the privation many face. Another major cut, such as the one in the proposed budget, could very well put some yeshivas out of business, he wrote. “Media reports indicate tha the yeshiva budgets will be cut by another NIS 600 million ($166 million), in addition to a 20% cut made due to the fact that the budget was not approved on time this year. In May, we lost another 20%, so that our current budget is already just 60% of what it should be. Already there are many yeshivas that cannot afford to pay suppliers or salaries,” he wrote. “With 12 MKs from Religious Zionist parties in the Knesset, and with a Religious Zionist party a senior member of the government, we cannot allow such damage to the world of Torah, and especially the economic destruction of the Hesder yeshivas, which won the Israel Prize in the past.” The struggles of the Hesder yeshivas, he added, were the struggles of the hareidi and higher yeshivas in the Religious Zionist movement. The Union is organizing an emergency meeting of the heads and administrators of Hesder yeshivas for next week to discuss ways to deal with the situation.